The foundation of football in Senica dates back to 1921, but a year ago, thanks to local students, they played football in the city. Among the first Senic footballers belonged brothers Šestinovci, brothers Vocici, Lesák, Provazník, Kaufmann, Vaníček, Suša, Mravko, Hajdin, Polónyi and others. Uniform clothes (or dresses) were the means and thus jerseys were shirts or shirts of the same color. In spite of these difficulties, the Iron Union Senica was founded in 1921 and the first field was in circles, where hard matches were played with Myjava, Šashtin, Hodonin, etc., true, only friendly. Between the years 1936 and 1928, football was played at Trhovisko. From the collections and winnings of the matches real football equipment was bought. At that time the activity of the first chairman, Rudolf Pushna, began. The first football coach was Jozef Škutil and Managing Director Mr. Holomcik. In 1928 AC Senica was founded and until 1934 it was played on the pitch called "V jame". Since 1934, football players of Senica have been named FC Senica. The cadre of the team was predominantly multiple of boys from Senica, but some players from the surrounding area also found it. During this period, another football club - RŠK Senica, was established in Senica. His body was made up exclusively of workers from the local race, and Rudolf Pšurny stood in his head. Although this club has disappeared after three years, it has to be mentioned positively and historically. The breakthrough for football in Senica was the year 1937. At that time, a football field, then a cabin and a wooden tribune, were put into use in the places where the first elementary school is located at V. Tótha Street. The village of Senica was worth its construction, from which most of the costs were paid out. The barbed wire base had a wooden barrier and played a master competition II. a class run by the Football Association of the Bratislava County. Senec's opponents were about. i. Piešťany, Trnava B, myjava, Nové Mesto a. i. The successful operation and boom of the football section was interrupted by the Second World War. In 1939 in Senica, football lives and players leave for other clubs. After a two-year stagnation again thanks to Rudolf Pšurneho and Štefan Štrba, the football life in Senica begins to recover. In the summer of 1941, a football tournament was organized in Senica with the participation of four teams, the winner of which was the home team in the group: Ďuriš, Šajánek, Hrčka, Sokol, Jurek, Kunka, Nemečkay, Tollar, Slezák, Pšúrny, Hrica. At that time Senica formed one of the best teams in Záhorí. In 1942 they again began to play the championship competition. Regular training twice a week began in 1944. The trainer was an experienced player ŠK Bratislava J. Luknár and later M. Bačkor. During this time, 2000 spectators were playing for the matches. Special trains for fans were organized for the rival matches, so great was the interest in senic football in this period. After the end of II. World War began with football in 1946, and Senica played under the name Sokol Chemické závody (ChZ). In 1948, Senica tried a cross-country competition for one season. As a result of the reorganization, in 1951 he returned to the district competition, but without a loss, and a 52:3 score wins soberly and ensures his participation in the qualifying course. After two draws 1: 1 with Záhorská Ves the third decisive game was played in Malacky and Senica after the goal, who scorred Martin Kovár from Hlboké win the match 1:0. Another opponent was Slovan B. After Senica 2: 2 and 3:0, Senica proceeds to a regional competition, where they are waiting for Czechs like Bratislava, Myjava, Holíč, Odeva and Mewrina Trenčín, Senec, Piešťany, Modra and Galanta etc. Reward for the procedure was for the team tour to Pov. Bystrica, Lipt. Mikuláš and Svit, where friendly matches also took place. After the Senian players, the teams from higher competitions began to get more frequent, which significantly weakened, and in 1954 they went down to the regional presidium where they played until 1957. Another reorganization in 1957 created two I. A classes. Senica was included in the group along with FK and Dukla Sereď, Myjava, Pezinok, Stará Turá, Holíč, Galanta, Devínska Nova Ves, Dunajská Streda, Dukla Trenčín, although she had progressive ambitions. The year 1960 brought about the creation of a competitive team. Dukla Senica was formed, whose team consisted of a capable cadre of basic service soldiers. The first derby of the champions ended 1:1 indefinably. 1962 brought a lot of football joy. At the World Championships in Chile, representatives of Czechoslovakia fought to the final, where they was beaten 1:3 by Brazil. On October 24, a new (current) football stadium with high quality grassy terrain was brought to Senica and blessed by Czechoslovakian national players, MS finalists in a complete set. Their team was selected by the Senica district team, with up to six players Senica. The captain was Fridrich Hutta, goalkeeper Ján Pláteník, Jozef Hrebíček, Pavol Mach, Jozef Kúdela and Jozef Vanek. National players won 7:0, goals scored by Kadraba 3, Jelinek 2, Adamec, Kučera. The new playground brought the long-awaited advance to the Championships in the 1963/64 season after two years. The players were rewarded for a tour in Austria, where they won 4: 2 in Neusiedl and 9: 0 in Ringsdorfe. The first season in the regional competition was marked by a newcomer from Senice. The process was prepared only by an interesting match of circumstances. 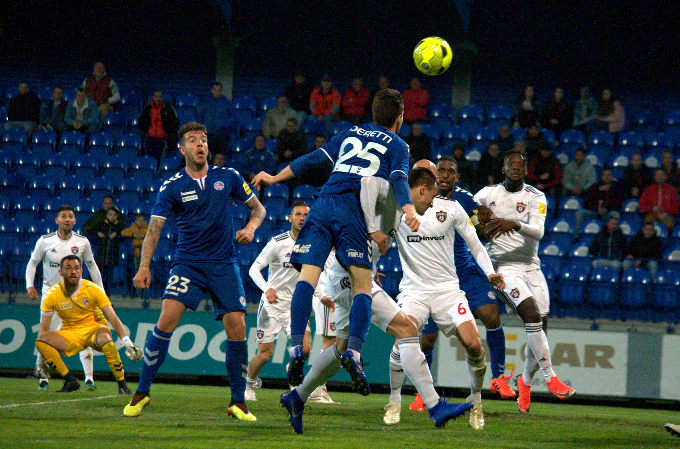 With Trenčín B was enough to draw and draw, but the representation prepared for the interstate match caused in the first leg a representative break. The opponent used it to reinforce with several A - League players, won 1: 0 in Senica and moved. The first year of success in the area's championships has spurred officials into thinking about higher soccer monsters. They've been aiming for a divide, but this year it has escaped the hair. Seven barren years came to Senica when Trenčín B, Dunajská Streda, Bánovce, Zlaté Moravce, Šaľa, Hlohovec and Štúrovo. Senica ended on 4, 5, 4, 3, 3, 4 and 3 place. In 1966, a club with the town of Kysac in Yugoslavia was formed at the club, and football players went there for a tour where they played four friendly matches in New Orleans. Towards the west, in 1968, a partnership with Elsternberg was established in the former GDR. These co-operatives, with the frequent exchange of visits and friendly encounters, have endured for many years. The partial success of football in Senica was the gain of the Czechoslovak Cup in the West-Slovak region, which was won by Komjatice 2:1 and 2:0. Another football breakthrough for Senica football was the year 1969, when the Senica Slovakian Silk Association was founded and one of the seven sporting styles behind it is the SH Senica football club (still volleyball, tennis, chess, hockey, bodybuilding, ZRTV). The conditions of Miloslav Chom's director are incomparably better, and Senic football shines for better times. In the 1970s, the newborn tribune was brought into use and the full play of the game was over. In 1971, the competition was won in a suveraging manner by Šaľa and Senica had been celebrating the 50th anniversary of the establishment of football in the city. The smaller patch was the victory in the tournament organized on this occasion before Elsternberg, Holíč and Trebic. Senica, however, made a "hole in the world" in the Slovak Cup. 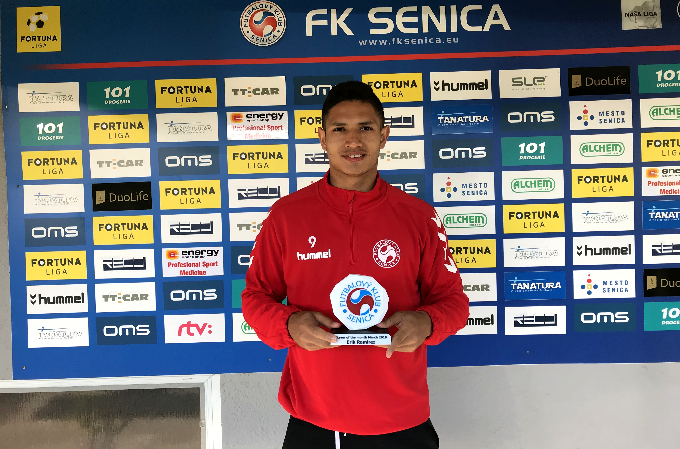 Senica first ran out of league Prievidza 1:0 and won in the first division team Nitra 4:0 - when the young hero Miloš Malárik scored hattrick. The champion of the CSSR Slovan Bratislava had to come, and put the STOP to Senica players with a 4:0 win. The stunning procedure was followed by SH Senica in the 1973/74 season, when headed by coach Ján Baďur, moved to the division. The Senica in Trnava with Becko won the decisive point for a draw 0: 0 in front of a thousand fans. The joy was enormous, but the reality was cruel. In spite of the novice euphoria, the higher opponents sent Záhorákov to the penultimate place after the fall. The help of Stano Martinkovič and Karol Pavlak came from Trnava. Of the 21 goals scored nearly half, the rescue of the division was only possible in the last round in Partizánske 3:0. In order not to repeat a similar scenario in the following season, the football leadership gained reinforcements during the summer break. After the autumn, Senica was only three points behind the leader of Slovan B. In the spring part, the team also strengthened goalkeeper Myjavčan Jozef Žitný from Partizánskeho and Milan Hrica from Inter Bratislava. In the spring part of Senica, it was only in Trnava 1: 0 (goal scored by famous Karol Pecze) and in Partizánsky. All other matches won, including Jozef Sloboda's goal scored 1-0 by Šolka, when he finally decided to proceed to the 1st Slovak National Football League (SNFL). The joy of the process brought about the very difficult task of the next reorganization in the Slovak and Czechoslovak football. As the 2nd nationwide league was canceled, all teams from Nitra, Bratislava, Pov Bystrica, Michalovce, Bardejov and Martin were to be automatically included in the 1st SNFL from next season. And if Senica did not want to act for only one season, she had to be placed in the seventh place as a newcomer, which was an extremely difficult task in the quality of the opponents. At the first match in the 1st SNFL with Ruzomberok more than 5,000 spectators came. The first senic shooter in the competitions run by the highest Slovak Football Association (SFZ) Miroslav Hrázsky became the next goal, Malárik and Švirloch added another goal. Senica won this match 3:0 and home for the remaining 14 games. As a single team in the whole competition has not lost even a single point at home (I do not remember that in the next 20 seasons somebody has managed - note author). And since they scored 8 points out of the pitch (two points for the victory), Senica finished 5th place only two points behind the winning Humenné. Before it came Kysucké Nove Mesto and with the same number of points Ruzomberok and Púchov. For seventeen years, Senica has always been one of the leading teams. Only twice did she reach the first half of the table. Twice she won bronze medals for third place. In the 1982/83 season, under the leadership of Jarabek-Baďura, we ended up with B. Bystrica and Dun. Central, but before ZŤS Košice, Petržalka, Prievidza, Humenné, Dubnica or Trenčín. In the 1985/86 season Senica finished behind Nitra and Slovan, but before Petržalka, ZŤS Košice, Pov Bystrica, Dubnica, Púchov, and other great teams. Seventeen years later, he went down to the 2nd league, when Senica and Slovan B 2:4 finished in the match in Zlaté Moravce. More than five A-team players (among them Tittel and Timko) took up their opponents, who took care of all the goals of our opponent, but Karol Ihring was the biggest "support" for the runners-up. On the occasion of the 75th anniversary of the foundation of football in Senica and the 600th anniversary of the first written mention of Senica, a friendly meeting with a Slovak representation took place at SH Senice football stadium. Goals: B. Valjent (11), Kadlic, J. Michalica - Ujlaky 2, Bališ, Timko, Jančula, Dubovský. Slovakia: Vencel (Seman) - I. Kozák, Tittel, Zeman, Tomaschek - Bališ (Slovák), Moravčík (Šimon), Dubovský, Ujlaky - Jančula (Zvara), Timko (Kinder), tréner Jozef Vengloš. After six years, Senica won the second league in the 1998-1999 season and, together with a visit of 2000 spectators, remembered the taste of the second-league victory that Novak had secured with the cannonist Igor Klejch. Senator fans also welcomed the goalie with a happier end for the home team in a match with Rimavská Sobota (5:4), as well as the subsequent victory in Ličartovce 2:1. After two games with Púchov and in Devín, he enjoyed a series of five games without losing. Two seasons were held by the Záhoráci in the second league and again fell to the 3rd league. In the second league, Senica came back once again, winning a third-league season 2001/02 before Myjava. Prior to the start of the 2002/2003 season, FK SH Senica and FK 96 Ress Častkov joined. Častkov Football Club with cooperatives of all ages ended and their successor rights and obligations under the statutes took over FK SH Senica. They stayed in the same competitions, they played in the Častkov playground, only their name changed to Senica B, the youths and the C and D teams. Druholig season 2002/03 began with a 1-0 loss in Lichartovce, when from 7 min. played without leaving out Hara Hielka. Peter Petras scored the first goal in the second round in a match with Dun. Wednesday. This player moved to Corgoňligová Dubnice after the season, from where he gradually moved to Inter, Petržalka, Saturn Moscow and currently plays for the Slovan. He is also a representative of Slovakia. Senica took 8th place in the year, the second Záhorácke team from Veľké Levár. After the competition from the district competition Častkov team continued as B - Senice team in the winning tournament also in the 5th league, when in the autumn and spring part only after two matches draw. In autumn in the first round in Š. Humenciach 1: 1, when former Canadian Senice and Spartaka Trnava Štefan Sadloň and the 11th round in Šaštan 2: 2. In the spring part, the Senica reserve was tied in the 17th round in Bojná 0: 0 and on one round they were replaced by Piešťany on the table. They, however, drew for a week in Malženice and Senica B returned to their foreheads. After the victory in the 20th round with his biggest opponent Piešťany was definitely decided, although to the end remained ten more laps. The quality of the cadet, in addition, the squadron players from the second league A - Čka ensure that the five - point lead is not allowed. However, our team had one overtime loss. Senator B - Gbely (2: 0) in the last autumn lap of the team lost four yellow cards to Jozef Joniak and his start at that meeting was recognized as unauthorized. Subsequent exclusion meant a single loss throughout the year. One year after the season 2003/04 with the second league Senica also slammed, when it finished in the last 16th place with a gain of 17 points for 3 wins and 8 draws. Even more disastrous was the Senica's performance in the following season 2004/05 in the 3rd League. It was from the loss to the loss and the first season win was only in the 29th round with V. Kostoliani 2:1. The tense season could be labeled as the darkest in the history of senile football. The following three seasons in the 4th league brought the 12th, 11th and 8th place, when Skalica was always ahead of them. Only in season 2008/09 started in Senica to brighten for better times. The arrival of Ladislav Hudec to the post of coach and sports director of the football club, especially the former footballer FK Senica Vladimir Levarski as the main sponsor, Senica won the competition and won the game with great advance. After a hectic summer, during which he changed very strongly, the Senica entered the historic first season in the Corgoň League. The first captain of FK in the highest competition was Martin Laurinc, Ladislav Hudec was the coach. A new member of the elite company has just joined the opening round in the land of the senior master. The reality was hard, Záhoráci lost to Slovan Bratislava 0:3. In the next round, Senica welcomed at their own stadium Tatran Prešov. The organizers of the meeting prepared a rich cultural program before the opening tour. A great atmosphere was marred only by winds. Despite the heavy rain, many fans caught their way up the field in Sotiná. Present viewers have witnessed several breakthrough events. They saw the premiere goal of FK Senica in the top competition - Ivan Belák, as well as the first triumph in the highest competition. Seničani won in an attractive match 3:2. Despite the fact that the competition was in full swing, Ladislav Hudec, together with the club management, was still active in the field of transfer window. Jiří Homola, Juraj Piroska and Ján Gajdošík came to the team. Every week, the team roared. In his account, he attributed several valuable results. The team was especially successful on the rivals' pitch. In the autumn they took three points in Košice, Ruzomberok, Petržalka, Dubnica and Dunajská Streda. After the first part of the season, the newcomer was a flattering 5th place. Winter brought another active movement in cadre, in the team of implementation and in the functional structures. The president of the club was Viktor Blazek, sports director Dušan Vrťo, Vladimír Skalba was appointed as the Youth Coordinator. The coaches positions were left by Ladislav Hudec and Milan Nemec, their places were taken by Radim Nečas and Norbert Hrnčár. Miroslav Mentel was the goalkeeper coach. Ten new faces were added to the team, with Petr Bolek the most outstanding. A great goalkeeper traveled to Záhorie from the Turkish club Kasimpasa Istanbul. In the spring, the Seniors continued in solid performance. The final was in the 6th position. The newcomer was placed in the first half of the peloton thanks to the meeting of the last round. In the memory duel, Senica won 2:1 to Petžalka in Bratislava stadium called Pasienky - the goals was scored by Róbert Pillár and Filip Kučera. It was just the youth that was the next pride of the opening Corgoň liga year. Under the leadership of Vladimir Skalba, Senica teams have established themselves in league competitions. Thanks to skillful scouting, the individual choices of hopeful youngsters from all over the country have been added. Even before the historical league season of seniors, Senica youth was a great success. Boys aged 15 and over (born after January 1, 1994) triumphed in April 2009 in the Nike Premier Cup national final. In the climax of the tournament they started against the peasants from Ruzomberok. The goalless penalty was followed by penalty kicks, Senica won 5:4. The best player of the tournament was Richard Balajik, the best goalscorer was Jakub Kosorín - 5 goals. Thanks to the triumph in Slovakia, Seničani went to the big European final. Twenty teams from the old continent met in Belgian Genk. In the competition of teams such as KRC Genk, MTK Hungaria FC, KVC Westerlo, Sporting Portugal, Austria Vienna and Slávia Praha, the young Senica footballers finished 15th. Behind them were the Wings of the Soviet, Hapoel Haifa, Vaalergen, or Norrkoping. The home winner was Genk. It is said that the second year is much harder for the newcomer than the first one. In the summer, the owner of the club Vladimír Levársky had even more daring goals than Senica achieved in the previous season. "We have a strong team. Peacefully let me talk about the fourth, third, or even second position, "he said before the start of the league. It was not the words of expression, but the assertions based on facts. In the summer, the senators were again very actively completing the senatorial councils. The biggest catch was coach Stanislav Griga. A new team was created around a successful coach. The assistant was Libor Fašiang, Miroslav Mentel was the goalkeeper's trainer, and Milan Skokan was the position of the traditional coach. The leader of the team was Fridrich Hutt during the autumn, in the winter took his place Martin Šnegoň, who until then acted as a fitness coach. The physician of the team was MUDr. Radovan Hyza, who replaced a longtime associate of MUDr. Jozef Krajčovič. The masseur was Robert Beblavý. A good team was formed under a strong team. Among the new faces, Ondřej Smetana, Tomáš Kóňa, Jaroslav Diviš, Filip Lukšík and Tomáš Strnad became key players. Renowned team FK Senica could meet the big jubilee. In spring 2011, the senile football club recalled the 90th anniversary of its foundation. However, the entry into the season was black. Better said, red-black. In Trnava, Anton Malatinsky stadium a selection of Stanislav Griga lost 0:3. In addition to the high loss, the red card for Smetana was also frozen. The unsuccessful result did not depressed team, on the contrary, they got to the successful wave and they were traveling higher and higher in the table. After the fifth round, Senica won in Košice, and the team from Zahorie was first on the table. Senica stayed on the top after the next round, which gave birth to a historical triumph over Slovan. In a dramatic meeting, Senica won 3:2. Seniors received respect every time. Players have become celebrities. After the autumn of the league, Senice won 31 points in unexpected 2nd place. Winter was traditionally very plentiful. The management of the club attracted many interesting players in the west of Slovakia. The right side of the defense was Nicolas Gorosito, and Petr Hošek and Bolinha came to the offensive. In spring, the Senica grew stronger than they were in the autumn. In the initial rounds, a total tornado exploded. Banská Bystrica managed 3:0, Nitra 5:0, Ružomberok 4:0. Then followed a goalless draw in Zlaté Moravce, but the next round continued Záhoráci in the long run and the local rival - Spartak Trnava - squared 4:0. The league's buck went up firmly to the front of the table. The gamblers have become representatives. Juraj Piroska, Tomáš Kóňa and Filip Lukšík came to the national selection. The Senicians continued in sympathetic performances. From an unknown team, the rebound became a serious candidate for the title. The match of truth brought the 29th round. Senica was welcomed by the sovereign Slovan. In the event of a win, the Senica should have a five-point lead ahead of a big rival shortly before the end of the competition. Duel began to develop very promising. In the 24th minute Jaroslav Diviš opened the score. After a break, the home win 1:0. In the second event, however, the most successful club in Slovakia was shown his power. Mario Bozic settled and at the end of the extraordinary quality match he decided on the win and practically also on the title of Filip Šebo. Slovan won 2:1, won the title, but second place Senice was the unexpected success of a modest club from a 20,000-year-old town. The triumphant drive of Záhorákov has attracted the attention of the general public, the European media and the group of experts. 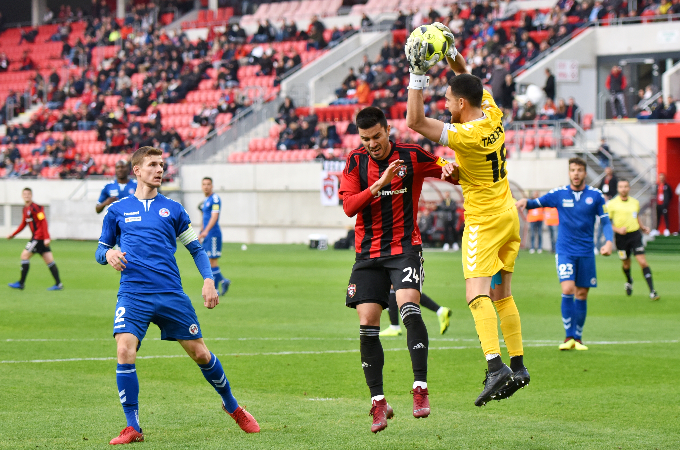 Stanislav Griga has been the best coach in many polls, Petr Bolek triumphed among the goalkeepers, Robert Pillar was announced for the discovery and defending Filip Lukšík in the polls. The Left Defender has not only cast voters but also officials from several European clubs. The native of Banska Bystrica finally got the Dutch ADO Den Haag. The best shot of Ondrej Smetana also took place in Benelux. The eighteenth-year-old passes into the Belgian St. Truiden. At the end of May 2011, a magnificent birthday party took place in the premises of FK Senica. The Football Club celebrated its 90th birthday. Many congratulations have been made to the congratulations, which in the history of the club helped to spread the good name of the Záhorí section. Sculptors were awarded a symbolic plaque and a thankless letter. Among those who handed over the commemorative items, the bride and granddaughter of Rudolf Pushny, the founder of the Senic Football Club, was missing. Part of the galaprogram was a historic cinema, where ancient footage from the club's activities was broadcast. Another attraction was the museum containing rare artefacts associated with nearly a century's performance of the club on the football scene. The culmination of a nice event was a football match between the former FK Senica players and the popular MUFUZO, a group of artists, athletes and personalities of Slovakia. The most successful year in the history of the club has also underlined significant changes in the infrastructure. A unique inflatable hall with artificial grassy surface was opened in winter. In addition, new premises for arbitrators and delegates were built. New space was also given to journalists. All the innovations were tailored to UEFA rules, as Senica was expected to be the premiere of the European League in the next year. Senica also raised a number of footballers for the highest competition in Slovakia or even in the former Czechoslovakia. Jozef Hrebíček, Jan Šelig, Ján Barkóci, Jaroš Hutta, Štefan Sadloň, Marián Rybanský, Peter Krč, Jaroslav Hílek, Lukáš Bajan, Jozef Šajánek (also played in Prešov and Dun Sred), Ľubomír Švirloch in Prešov and Petržalka), Jozef Režnák, Milan Krupčík (also in B. Bystrici), Braňo Kubica (also in Vítkovice), Vlado Prokop, Slovan Peter Rýzek, Miro Danek, Tomáš Sloboda, Banska Bystrica František Jurkovič, Nitra Vladimír Beanie, to Trencin Stanislav Velický (also played in B. Bystrici, Artmédi Petržalka, Mattersburg - Rak. ), Dubnica Branislav Mráz, Michal Jonas (also in Liberec), Žilina Peter Baumgartner (at ZVS played in Cheb and B. Bystrici ), to Brno Rudolf Pavlík (also to Dukla Praha and Dunstred), to Slavia Praha Štefan Pavlíček, Matej Krajčík (also to Žižkov and Č. Budejovice), to Ostrava Dušan Vrťo (also in B. Bystrica, FC Dundee - Scotland ), to Vítkovice Miroslav Karas (also in Haka Valkeakosti - F Insko). The first player from Senice to play in the league team was Jozef Hrebíček (nowadays Senica Martin), who played in Trnava. (1951), followed by Rudolf Pavlík (* 1962), Dušan Vrťo (* 1965), Matej Krajčík (* 1978) and the last one was Michal Jonáš (* 1986) , who was the only one to score a goal, when he won the winning goal against the UAE in his 2006 premiere as Slovakia's representation. Unfortunately, his next football break was hampered by a heavy car crash, followed by several difficult operations. Ľubomír Švirloch was the captain of Czechoslovakia in the European Championships for players under 21 years of age. Jozef Šajánek, who played almost all of the preparation for the European Championship in Belgrade, was the smoliar, but he did not get the final nomination. He was kicked off four years later by a nomination for OH 1980 to Moscow. From both events, Czechoslovakian representations returned from gold medals. Dušan Vrťo was the first player from Senica to play in the British Isles, for four years played in Scotland for FC Dundee and was captain of three seasons. Football clubs Senica, goalie Milan Totka and Libor Konicek and Pavol Simek played the title of European champions in indoor football in 1995 in Morocco in a national jersey. He also represented Libor Konicek and currently the Futsal representatives are Senator Andrej Fišan and Gabriel Bartošek. Peter Hečko, who worked as a masseur at two coaches, both Vengloš and Jankech, was also represented. His son Peter Hečko younger also worked in the representation of U 21 for the training of Jozef Barmoš.